* An angry Derek Jeter will be, um, "Driven" to have a great year, and prove the naysayers who think his best days are behind him wrong. * Ian O'Connor will write at least three more stories about Jeter without mentioning his book about him. Then, when "The Captain" book comes out, ESPN New York will run an excerpt of the book! * There will be at least four fallacious A-Rod/Cameron Diaz stories in the media. I will feel compelled to debunk at least two of them. * Joba Chamberlain will be a nonfactor, and will get traded by July. * As usual, A.J. Burnett will cause all sorts of mixed emotions in Yankeeland. Hoping it's more positive than negative! I will probably come up with some more, but the game's about to start! On a happier note, while we might not be getting any awards, the Squawkers are featured in two different books. Jon and I are contributors to the Graphical Player 2011 book. And Jon's work is featured in the new Cambridge Companion to Baseball book. Jon and I will both be attending a signing event for the book tonight at Borders in Columbus Circle at 7 p.m. this evening. If you're in the city, and feel like stopping by to say hi, please do! Guess What? There Are Still Yankees Opening Day Tickets Available! What's going on in Yankeeland with the ticket market these days? It was shocking to me last year that I was able to get tickets for below face value on StubHub for Game 5 of the ALCS. Now I see in the Bergen Record that there are reasonably-priced tickets available on StubHub for Opening Day. I checked for myself, and sure enough, there are tickets starting at around $24 for grandstand seats. And not only that, but the Yankees themselves still have tickets available for Opening Day, albeit the pricey seats. The Bergen Record article sez that "the Yankees’ own website was selling tickets at face value for the $350 Delta Sky 360 section and for the $625 Legends Suites section — the latter being the best seats in the house, right behind home plate." Wow! You'd think Opening Day would be a sellout, but apparently not -- yet! I don't know what to make of this. Is this a sign that fans are not quite as psyched for this year's team than they were in previous years? I'm not sure, but I'm bummed I have something to do tomorrow morning, which will keep me from going to the game in person! Leonard Cassuto, editor of The Cambridge Companion to Baseball , will talk about the book and sign copies at Borders Books at Columbus Circle on Thursday, March 31 at 7 pm. The book is a collection of essays on topics such as baseball in the movies and baseball in Japan and Latin America. Interspersed are features on iconic baseball characters such as Pete Rose and Walter O'Malley. I contributed a piece on the origins of free agency, with the focus on Charlie Finley, George Steinbrenner and Andy Messersmith. 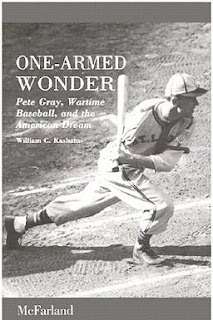 It was a fascinating time in baseball and I had a great time researching and writing about it. Readers of this blog are quite familiar with Steinbrenner, but for those less familiar with Finley, the A's owner might have been an even more vivid character. Hope to see some of you Thursday. If you can't make it to the Borders event, you can check out The Cambridge Companion to Baseball on Amazon and at Barnes & Noble. I always laugh when I hear some pompous journalist tell that old cliche, "If your mother says she loves you, check it out," implying that people in his profession wear out shoe leather (another journalistic cliche) to get the story. Because, unfortunately, the reality is sometimes a lot less glorious, especially when it comes to Alex Rodriguez. Remember how after the Super Bowl, pretty much every single media outlet pubished an anonymously-sourced story from the Chicago Sun-Times that A-Rod went "ballistic" after being filmed getting fed popcorn by Cameron Diaz at the Super Bowl? And that it turned out the Sun-Times columnist Bill Zwecker used that exact word, "ballistic," to anonymously describe a half-dozen other anonymous celebrity reactions (what a coincidence!)? And that it took until spring training for anybody to even ask Rodriguez about the incident, which he convincingly laughed off? It appears the actress is crazy about the New York Yankees player, cooking up a new project involving him so they don’t have to be apart during the new baseball season. "Cameron actually has an idea for a romantic comedy set around Major League Baseball," reports a source close to the actress. She’s very excited about developing her own projects and the fact this one is about a baseball player means she has good reason to spend more time with A-Rod and the Yankees. “She’s even thinking that Alex could star in the movie with her." * Diaz has never produced a movie. And most films take years to get developed and get made, so it's extremely unlikely that she would somehow have a romantic comedy about baseball ready to go for this season. Unless they're going to remake "Fever Pitch" or something, and I really don't think that would work. * More importantly, A-Rod is kind of busy with his day job playing baseball for the New York Yankees for the next six (hopefully seven!) months. Besides, the idea that somebody who has never acted (his IMDB credits include things like being "Audience member" at the Super Bowl, and a deodorant commerical) would not only get to star in a movie, but film it during the regular season, is just ludicrous. Even if he wanted to do that, which is extremely doubtful, there is no way the Yankees would give him permission to do so. * There's not a single on-the-record source; the piece is solely sourced by a "friend" (an imaginary friend?) of Cameron Diaz. And the unnamed reporter never bothered to even attempt to reach A-Rod or Diaz for comment. You would think that this ridiculous story would stay in the realm of items you see in Weekly World News or something. But you would be wrong. Google News shows that over 150 news outlets have picked up the story and rewritten it for their own papers and sites, including the New York Daily News, Huffington Post, the Washington Post website, MSNBC's Off The Bench website, and Business Insider. But not one of them have appeared to actually, you know, call either A-Rod or Diaz for confirmation, or do any original research, let along use a modicum of critical thinking. Guess they didn't want to wear out the old shoe leather. ESPN New York's Ian O'Connor has written yet another column lauding the merits of Derek Jeter, without bothering to mention that he has written an upcoming book on the Yankee captain with the cooperation of Jeter and his friends and family. That makes at least a half-dozen times since the fall that O'Connor has written such a pro-Jeter column without even a cursory disclaimer about the book. And that's problematic, especially given that the book is billed as being written with inside access to the captain. O'Connor's publisher's blurb says that in the upcoming book "The Captain: The Journey of Derek Jeter" O’Connor" draws on extensive reporting and unique access to Jeter that has spanned some fifteen years." BN.com's promotion for the book says O'Connor "draws on unique access to Jeter and more than 200 new interviews." I first wrote about this conflict of interest back in October, and then again in November (twice) and in December. And here we are in March, and O'Connor is still writing fawning articles about Jeter, without the simplest of disclaimers. Given that he has a financial stake in the subject, he should tell his readers about the book, and how he got inside access from Jeter for it. O'Connor doesn't just write slobbering columns on the captain, but he has positioned those columns as being the inside view of Jeter. In one of them, he said Jeter wanted to play until 2017 (!) and that Jeter's trainer, Jason Riley claimed that "the desire to be the greatest can never be turned down by Father Time." "There's no need to diminish him by demanding that he take a pay cut. If one athlete of this generation deserves to be overpaid, it's Jeter. A token, thanks-for-the-memories bump to $23 million would suffice. There are a lot of pro-Jeter writers in this town, but nobody else in New York suggested such a ridiculous new contract for the captain. O'Connor's most recent Jeter article says that he "desperately wants a dignified endgame to his career, and he knows that being a New York Yankees icon never guarantees you one." O'Connor also writes that "Jeter wasn't hurt so much by the tens of millions of dollars that the Yankees wouldn't give him. He was hurt by the public nature of the quarrel with his employer, and by the fact he was sucked into a swirling A-Rodian drama he couldn't control." Well, is O'Connor speculating on the emotions here, or did Jeter tell him that's the way he felt? And if it's the latter, why did he share that with O'Connor? Is it because of the book? Not to mention that O'Connor completely neglected to note that Jeter's agent Casey Close helped make this situation public, when he whined about being "baffled" by the Yankees stance, and compared his client to Babe Ruth. For some strange reason, that didn't make it into this article. If he needs to be taken out of the leadoff spot and, ultimately, deposited near the bottom of the order, that will be a huge, franchise-rattling story. If he needs to be moved from shortstop to who knows where, the coverage of that demotion will be defined by an apocalyptic tone. For now, Jeter is still Jeter, a future Hall of Famer who just needed some extra face time with the hitting coach, Kevin Long. With the contract done and the footwork adjusted, the smart money says the captain will make something of a comeback this year. If Jeter needs to be moved down in the lineup, or switch positions, he will only have to do what every single superstar eventually faces. Is O'Connor suggesting that Jeter be held to a different standard? I personally think Jeter will have a very good 2011 -- the anger over the contract talks this winter will motivate him, I think -- but this article is so filled with spin, it's like a washing machine or something. And you have to wonder if some of that spin is due to O'Connor's new book on Jeter. DVR Alert: I got an email today from MLB Network letting me know that Pedro Martinez is going to appear on Bob Costas' Studio 42 MLB Network Show next Wednesday, March 30, at 7 p.m. Eastern. And yes, I will be watching it! While I hate what Martinez did to Don Zimmer, I also appreciate that Pedro has a quick wit and a real love for the game. Not only was Martinez one of the most exciting pitchers I ever watched, he also is smart and entertaining. I loved to hate him as a Red Sox, and grew to just like him when he was a Met. He was even fun to watch in the World Series as a Phillie, especially when he lost to the Yankees! Anyhow, the MLB Network sent some of the quotes from the interview, and a link to a sneak peek of the show. He said that throwing Don Zimmer to the ground "was probably the only thing that I might be embarrassed" about for his career, that Grady Little deserves another shot at managing, and why Ted Williams' complimenting him at the 1999 All-Star Game meant more to him than winning the game's MVP that night. Here are some of the topics listed. Thanks again to the MLB Network for sending these quotes! I think that’s probably the worst highlight that you could ever find about me. Everything else, I don’t mind. …But Don Zimmer was probably the only thing that I might be embarrassed [about] for the rest of my career. I say he did what he felt was right for him to do. I would say that I still had stamina and I had good enough stuff to get them out. I would stick to that and I believe that. What you have to do is give those guys on the Yankees side credit for making it happen. I made some great pitches. I don’t think Grady has anything to be blamed for. As a matter of fact, Grady should be in the big leagues with a team, managing a team right now regardless of what happened that day. I’m not ruling it out, I’m leaving the door open but at the same time I’m really getting used to being with the family and getting comfortable. I’m not used to being at home yet, I’m still eager to move and step away from the house and all that, but at the same time my family’s becoming the number-one aspect in my life. It meant probably so much that I cannot even describe. And not only putting up a show, it was being called in by Ted Williams and autographing my program, and saying, “That was some of the best pitching performance I’ve ever seen.” Those were his words when he said that. He said, “You’re going to be a great one.” To me, that meant so much. Forget about the MVP trophy, it was what he said and what he wrote in that program that meant really a lot to me. You know, I hope that in 20 years, they do an Old-Timers game with the Yankees and Red Sox of the early 2000s era facing off. Wouldn't that be fun to watch? Two notes: I wrote today for The Faster Times about how Buck Showalter called out Derek Jeter and Theo Epstein. I think what Buck did is fine -- in fact, I compared him to Rex Ryan in taking on the big names! If the Orioles are going to compete in the AL East, he needs to keep on channeling his inner Rex Ryan. IMHO, you have to admit that Jeter is a little bit of an actor at flinching at pinches, that the umps favor him in calls, and that Theo Epstein does benefit from a healthy payroll. It's funny, though, that Mo, other than his restaurant and that Taco Bell commercial with Joe Girardi, hasn't exactly done much with his marketing rank! And while I haven't seen A-Rod in a commerical in a while, he's still No. 9 on this list. (And no Mets made it on!) Nielsen said the Yanks had as many representatives on the list as the entire National League! For all of baseball, including current and former players, commentators and owners, a few all-time greats lead the pack. Yogi Berra holds the top spot, with an N-Score of 257, followed by Willie Mays (236) and Cal Ripken, Jr. (228). One noteworthy surprise? Joe Torre beat out his former players—Jeter and Rodriguez—with a score of 207, making him baseball’s fourth most marketable personality. Well, that's just great news on Torre. If it means more commercials, my remote control will be getting more of a workout! Anthony Marsala of Long Live Shea Stadium has alerted us to a chance to win tickets to the Mets home opener on Friday, April 8th, 4:10 PM, vs. the Nationals. Jersey Shore Bracelet Company is running the contest. 1) Follow LongLiveSheaS and JSBracelet. 3) Fill out the form on the Jersey Shore Bracelet web site. Want to increase your chances of winning the tickets? For any order placed during the entry period (March 23rd- April 1), you will get an additional entry into the contest. The winner will be announced on April 2nd. Shocker! Joel Sherman Says Criticism of A-Rod Is "Unfair"
Will wonders never cease? I almost spilled my morning coffee on myself when I read that the New York Post's Joel Sherman wrote a column today entitled, "Continual digs at Alex unfair." Joel Sherman, who has taken as many cheap shots at A-Rod as any sports columnist in this town, has had enough? I can't believe it. ...at some point legitimate critique of Rodriguez has been usurped by something close to piling on. He is the fish in the barrel and shooting at him has become a hard-to-break habit. It feels like the fun, easy game that anyone can play. It's 2011, and Sherman just realized this? (I thought the criticism went over the top in 2006, when his paper blamed A-Rod sunbathing in Central Park for the Yankees losing a game to the Red Sox.) But better late than never, I guess. Of course, Sherman doesn't admit the obvious truth when it comes to the media -- that writing about A-Rod sells papers and generates page views. There's a reason sportswriters are addicted to yakking about him! Sherman also criticizes Hank Aaron for taking potshots at A-Rod in the Post a few weeks ago (I wrote about the unfair criticism at the time.) Aaron said, among other things, that "Rodriguez has got too many irons in the fire, right now. I think his head's not level enough to the point where he can have the kind of year that it takes in order to go by all of the records in the book." Again, Rodriguez is an easy target on many things, but focus on baseball is not one of them. His harshest detractors would concede Rodriguez obsesses on preparation; that he has the mentality of a baseball gym rat. If you think Cameron Diaz, for example, is keeping him from being ready for the 2011 season, you are wrong. I agree with Sherman, but I wonder why it took three weeks for somebody else in the media to acknowledge that Aaron's criticism was unfair. But the press also has a lot to do with it. There are a lot of fans who form their opinions on players based on what they read in the papers. And players know that they can pretty much say whatever they want on A-Rod, and get lauded for it in the press, no matter how unfair. Dallas Braden, I'm looking at you! The media should be more responsible with the power they hold, because the perceptions they make on players are hard to change. Another example of the power of the press -- after the way the media has lionized Derek Jeter in this town, why should anybody be surprised that he topped a poll as New York's all-time greatest athlete and beat out Babe Ruth? The press has written about Jeter for years as if he deserved that spot. Heck, Mike Lupica didn't bat an eye when Jeter's agent Casey Close compared Jeter to Babe Ruth in an interview! Sure, blame the fans for being short-sighted in that poll. But the press deserves their share of blame for miseducating them, too. I was one of the many bloggers outraged over the hit piece Los Angeles Times columnist T.J. Simers did on former Yankee Marcus Thames. He called the player a head case and a stiff, and said the following to him without introducing himself: "Are you that horrible on defense that teams don't think it's worth playing such a home run threat?" Then he continued to pummel Thames for not responding and eventually walking away from Simers without saying anything. Lots of people are upset with the way Simers treated one of the nicest people in the game, including Curtis Granderson and Peter Gammons. Here's my article for The Faster Times on the issue, asking if Simers were the biggest bully in baseball. Sports journalist Jeff Pearlman agreed with me on Simers, and wrote about it in his blog. My article also got mentioned in SportsJournalists.com. Sadly, there were a bunch of sports journalists on that thread who defended the guy, saying that's what he does all the time. As if being a complete jerk to the people you cover is okay. How, exactly, does it help your readers to learn more about their team when your entire shtick consists of using your press pass to bully players, then write negatively about how they react, no matter what they do? Are you kidding me? Why would I follow a sports blog? That’s some guy in his basement who has never interviewed an athlete. ... That person can’t offer me anything. You have got to go out in the field. ... Bloggers are never held accountable. I don’t trust them. Accountability is a big deal. When I call someone a name in the paper, I’m there the next day, and they can let me have it. I have to stand by what I wrote. Aside from using the tired cliche about the blogger in his basement (although I guess it's an upgrade, being his own basement, and not his mother's), it's rich that Simers complains about how "bloggers are never held accountable," when he's been getting away with treating people like garbage for decades now. He treats his own readers with the very same contempt he shows his subjects. And newspapers wonder why fans are moving away from reading their product! Anyhow, if the best response Simers' defenders have is that he's always done this, that's pretty weak. Just because somebody's gotten away with being a jerk for decades doesn't mean he should get away with it forever. There are no Mets on either list. That's yet another blow to the team. Tough times, Squawker Jon.I told you not to buy that Oliver Perez jersey! For all the grief and bad press that A-Rod gets, he's still No. 9. It just goes to show that, as I always say, he is more popular than the media gives him credit for. How does Ellsbury rank in the top 20, when he didn't play for most of the year? I'm surprised the San Francisco Giants didn't make the top 10. And what about the Cubs being No. 5. Exactly whose jersey would you buy? This is a team who had to put Jeter on a billboard to sell tickets! Fans love songs and music videos attached to their teams, like the Chicago Bears' "Super Bowl Shuffle." The New York Yankees were lucky enough to have superfan Jay-Z and Alicia Keys anthem "Empire State of Mind" do their 2009 World Championship year theme song. I'm half-convinced that the reason they didn't make it to the World Series in 2010 was because they didn't have a theme song for the year! And the 1986 New York Mets had the cheesy but catchy "Let's Go Mets Go" theme song, a video that had the '86 Mets, Howard Stern, Dr. Joyce Brothers, Joe Piscopo, and Gary Carter in a white blazer. It's goofy, but still great fun. If you want to know what the mid-80s were like in New York, watch that video! Anyhow, instead of doing the logical thing, which would involve throwing some cash at the Dropkick Murphys or something, which would at least be listenable, the powers that be at NESN came up with their own original song, called "This Is Boston." And it just might be the worst thing I've ever seen or heard. I heard Rebecca Black laughed at the video, it was so awful. First off, if you're going to have somebody rap, why don't you find a real rapper, and not some goofy, untalented white dude who looks like he got lost on the way back from the Phish concert. To top it off, the guy has zero charisma. He makes Joe Piscopo's appearance in "Let's Go Mets Go" look like a star-making turn. Second, the chorus is "We're All In." Too bad the Chicago White Sox already came up with the very same slogan "We're All In" slogan for their team four months ago. (Hat tip to Big League Stew.) As the Geico caveman would say, maybe next time do a little research. Third, the Boston rapper, wears a backwards Sox cap for most of the video when he's not wearing a truly ugly wool cap that it looks like he stole from Heidi (and that's Heidi, the mountain girl, not Heidi Watney, who gets a ton of airtime in this video). And he spends more time rapping about curses, A-Rod and Varitek, Mariano Rivera "blowing saves left and right" (yikes), Johnny Damon, Manny Ramirez, Johnny Damon again, curses, and Cameron Diaz feeding A-Rod at the Super Bowl." He's mocking A-Rod having a beautiful movie star feed him? This guy would be lucky if he had Becky the waitress slipping him some extra french fries at the truck stop! Fourth, Peter Gammons is a big part of the video. It's like seeing Michael Caine in "Jaws 4: The Revenge" or something. But at least Caine got a big payday for that. What's Gammo getting here, other than embarrassment? And my man Jerry Remy's also in the video, but it looks like they just spliced him in via out-of-context clips. Fifth, there are plenty of Red Sox players who participated in the video, but they all look like they were forced to do it as part of a community service deal or something. There's no joy, or goofiness, or fun, like in the "Let's Go Mets Go" video. Even the kids featured in the video look miserable. Who wouldn't be? I've been holding my tongue about drama king Joe Torre's announcement the other day that the Yankees invited him to Old Timers' Day, but I simply have to say something. Other Yankee fans may be glad to see him that day, but I won't be. Like Joe has been known to do himself, I hold a grudge. Especially since he has yet to apologize for anything he wrote in "The Yankee Years," unless you consider passive-aggressively blaming Tom Verducci for it an apology. Not to mention the way he trashed Yankee ownership on his way out the door for what he called an "insult" -- them "only" offering him $5 million for 2008 plus incentives, which would have given him another $3 million just for making the World Series. Jim Bouton missed, what, over 25 years of Old Timers' Day for his book "Ball Four"? And it took his daughter dying -- and his son writing an article in the New York Times in 1998 begging George Steinbrenner to invite his father back -- to get him back in the fold. Now Torre's going to back, just two years after his horrible book? Puh-lease. Torre's book was much worse than Bouton's, and much more of a violation of the locker room code than Bouton's one. It was so hypocrticial for St. Joe to write the book, given how he preached keeping issues in the clubhouse, and given how he slammed David Wells for ruining the sanctity of the clubhouse with Wells' own book. Torre was positively gleeful in revealing that Yankee teammates called Alex Rodriguez A-Fraud? Well, I call Torre J-Fraud. He is a Grade-A phony, pretending to have a kindly fatherly persona, all the while sticking the knife into the back of anybody who didn't kiss his ring. Yes, Torre did lead the Yankees to four rings in his first five years, and if there were a way to honor him just for that, without all the other baggage, I would stand up and cheer for Torre as much as anybody else. Yes, the four rings go on the balance sheet, but so do the years and years of playoff failures, despite having the highest payroll in baseball. And as crucial a figure Torre was in the winning, he also held that importance in the losing, when the team was outplayed and outmanaged. He knew what the deal was -- World Series or bust -- but after the four rings, he got complacent, and only cared about his guys in the clubhouse, to the expense of the team as a whole. Only Torre would act like having a player who won two MVPs in three years was a burden equivalent to having Luis Castillo, Oliver Perez, and Milton Bradley on the team all at once. Only Torre would put on his fake caring act, all the while taking notes for his book. I can't stand Kevin Brown. But did I really need to read about him curled up in the fetal position in the clubhouse? No. And what did poor Johnny Damon do to have his battle with depression revealed as fodder for Torre's book? Torre has never apologized for his score-settling screed. He has never apologized to the Steinbrenner family for revealing the state of George's health in the tome. And the closest he came to ever publicly apologizing to Brian Cashman for trashing him in "The Yankee Years," even though Cash helped save his job after the 2006 season, was to say last year that he knew the GM "was offended by some of the things" in the book. "Hopefully, we can shake hands and put behind us whatever would keep that from happening." Whoopee. Why a sincere apology wasn't requested by Yankeeland before having Torre involved with anything in the Bronx again is beyond me. That's not how I roll, so I just don't get it. I don't understand why the Yanks are having Torre come back now, without even getting some lip service from him about how he screwed up with the book. We already saw what happened when the Yankees took the high ground, and invited St. Joe to the George Steinbrenner tribute. He made sure to leak that info to the media, even though the team wanted it to be a surprise, so that he could hold court with the press and make it all about him. Now, we'll hear all season, thanks to Torre's lackeys in the press, about the glorious day when St. Joe will make his triumphant return to Yankee Stadium. Well, don't expect me to be among the fans cheering for him. Saying goodbye to Luis Castillo was great, but Oliver Perez calls for the real celebration. Castillo at least made an effort and was a legitimate part of the competition for 2B (though that says more about the Mets' lack of good options). Ollie was just plain useless. Most importantly, the Mets were finally willing to eat an eight-figure salary. Squawker Lisa has graciously offered to help me celebrate Castillo's departure by providing links of various calls of his dropped popup against the Yankees, a game we had the misfortune of attending. I have declined all of Lisa's generous offers. 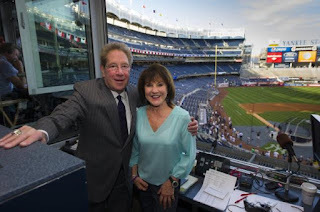 I don't need to see that play again - it's seared in my memory along with Lisa's laugh and the long walk out of Yankee Stadium and into the crowded subway surrounded by gleeful Yankee fans. But Ollie's departure does bring back memories of games we attended that I am more willing to revisit. One was the first time I went to Citi Field. It was the second exhibition game against the Red Sox. Lisa and I were excited to try the new food options, and with Shake Shack already packed, we started with Blue Smoke. It had a long line as well, and by the time we got our ribs, the game was underway. We didn't mind because it was an exhibition, and we didn't think we'd miss much anyway. But by the time we got our food, the Mets were losing, 6-0, and it was still the top of the first. Of course, the pitcher was Ollie, who did his part to inaugurate the new ballpark by giving up a grand slam to Jed Lowrie. Ollie was just starting his three-year deal and was already getting boos following his shaky spring, when he was accused of not staying in shape when he was participating in the World Baseball Classic. Last August, Lisa and I went to see Darryl Strawberry, Dwight Gooden, Frank Cashen and Davey Johnson inducted into the Mets Hall of Fame. The ceremony was great - the game, not so much. By the eighth inning, the Mets trailed the Diamondbacks, 10-1. It was Ollie time. He gave up a run in the eighth, earning another inning. As the ninth inning started, Lisa and I, not sure why were were still there, realized that it would be a good time to visit the Mets Hall of Fame. So we were taking pictures of the new plaques while Ollie was giving up three more runs to make the final score 14-1. A perfect day to celebrate a time when the Mets were actually a great team. Looking over the box score, I now see that when Ollie entered the game, so did Castillo. Talk about garbage time! I didn't make it to another game after that, so that was the last time I saw Castillo and Perez in Met uniforms. (And, perhaps, major league uniforms.) On Mets Hall of Fame Day, Lisa and I got to say farewell to proud members of the Mets Hall of Shame. The main component of most Met fans' dislike for Luis Castillo was not his contract, his incompetence, the dropped popup against the Yankees, and certainly not racism, as one sportswriter suggests. It was the fact that the Mets refused to release him until now. The Mets have had many lousy performances and lousy decisions over the last couple of years. On Opening Day a year ago, Mike Jacobs and Gary Matthews Jr. were both in the starting lineup. Jacobs even batted cleanup. Jacobs started six of the first 12 games before getting released. Matthews also started six of the first 12. Imagine if the Mets had decided to keep Jacobs and Matthews around, especially if it meant that Ike Davis would remain in the minors and Angel Pagan would be sent to the bench, which was the case in some games in early April last year. Jacobs and Matthews would be blamed for standing in the way of better players, of preventing the Mets from building toward a better future. They would be getting the same vilification that Castillo and Perez have received. Instead, they are largely forgotten, because the Mets got rid of before they could become symbols of front-office ineptitude. As it was, the Mets kept Frank Catalanotto around until May and Matthews until June, even when it was clear that they were just taking up roster space. Jacobs, Matthews and Catalanotto have not played in the majors since being cut by the Mets. Catalanotto recently retired. Keeping players who are unable to find jobs with other teams on your roster tells the fans that you are unconcerned about fielding the best possible team. Except for Davis, it's not as if replacements such as Jesus Feliciano or Chris Carter substantially improved the Mets. But they gave the team and the fans hope, if only briefly, that at least someone was trying to make things better. Worst of all is when these players are kept around because of a lack of understanding of the concept of sunk costs. The Angels were willing to eat $21 million of Matthews' salary, a good move as it turned out since he now isn't worth anything. Yet Omar Minaya was willing to take on Matthews in the misguided belief that he still had value, just as Minaya signed Gary Sheffield the year before after the Tigers ate $14 million of Sheffield's salary. Finally, the Mets are the kind of team that gets rid of these players rather than take them on. At least they are today. Let's hope they continue to be that kind of team when it's time to deal with Oliver Perez. Stage 1 - Denial: There's no way a new regime that wants to make a fresh start can bring back Luis Castillo and Oliver Perez. Stage 2 - Anger: If these symbols of Met ineptitude are still on the team, I'm not going to buy any tickets to games. Stage 3 - Bargaining: If you cut Castillo today, I'll buy tickets to three games. If you cut both Castillo and Perez, I'll buy a five-game plan. Stage 4 - Depression: Who am I kidding - I'm going to go to some games whomever is on the team. And the ballpark will be a ghost town, except for the huge line which will somehow still be there at Shake Shack. Stage 5 - Acceptance: The Mets have made a good-faith effort to find alternatives, auditioning four other players. Maybe Castillo really is the best choice at second base in this group. But once I get to stage 5, I remember that Castillo has played under 90 games two of the last three seasons, so the odds are good that the Mets will need another second baseman at some point during 2011. And the person they pick will be someone who was beaten out in spring training by Luis Castillo. Now, as far as Castillo is concerned, I'm back to stage 4. As for Perez, I'm still at Stage 2. Happy birthday to New York Yankees centerfielder Curtis Granderson, who turns 30 today. He got a Yankee Stadium replica birthday cake -- check out his Twitter page to see it. Anyhow, Granderson is running a brackets contest for his foundation on his website. For a $10 donation to his Grand Kids Foundation, you can pick your college basketball brackets, and have the chance to win cool prizes, like autographed balls and bats and such. I don't really do the whole bracket thing myself, but this deal makes me tempted! But sign up by tonight's deadline, if you want to compete. Derek Jeter is the cover guy for April's GQ magazine. And even though the article about him is written by Seth Mnookin, a writer known as a rabid Red Sox fan and author, the article is fairly gushing in the Jeter praise. I have to say that it does make me chuckle how the very same fan base who used to yell out "Nomar's better" (and wear all sorts of offensive t-shirts about Jeter) now have decided that Jeter is the only acceptable Yankee. But I digress. What I find interesting in the article is that Mnookin discovers several tidbits that, if they were about anybody else, would lead to a negative impression of the person. But in this article, they just add up to showing how awesome Jeter is. Mnookin writes that "part of the reason that he's so lionized is that in the cloistered world of professional sports, an athlete whose image matches his actual day-to-day life is almost unthinkable." But then the writer goes into great detail about what a control freak Jeter is on making sure that this image stays pristine. Which is certainly understandable, but doesn't really fit with the way we've been told by the media for the past 15 years about how Derek doesn't care what anybody says about him. You know, the same way we've been told about how the Core Four was so close, when the article reveals that Jeter worked out instead of watching Andy Pettitte's farewell press conference on TV. * A freelance writer writing an article for the New York Times had his tape recorder with him when Jeter was "joking around" with some other players in the locker room, and Jeter apparently noticed the tape recorder's presence. Mnookin writes that "later that night, the reporter was buttonholed by a Yankees PR staffer and one of the team's security guards. When the reporter tried to apologize to Jeter for any misunderstanding, he says, Jeter refused to acknowledge that anything had happened in the first place." * Ian O'Connor's new book on the captain says that when Jeter threw a party, he had everybody hand in their cameras and cell phones for the night so he wouldn't get photographed. * When Jeter would go to the club with a woman, he'd have them enter and leave separately. Mnookin describes this as happening "earlier in his career," but it's really pre-Minka Kelly. TMZ caught him doing this in 2008. Look, I get that Jeter wants to protect his privacy. It makes sense in this gossipy media world. But we all know that these anecdotes would have much more negative taint to them if, oh, I don't know, they were about Alex Rodriguez or Roger Clemens or something. Can you imagine the headlines if A-Rod got a security guard to "buttonhole" a reporter? Just saying. Babe Ruth was the greatest baseball player of all time. Some might say he was the greatest athlete of all time. But in a poll of New Yorkers, The Babe lost out to Derek Jeter (!) as New York's Greatest Athlete ever. Who voted in the poll -- Casey Close? What is wrong with these people? Did they find people who never watched a moment of sports in their lives? Actually, that's not that far off -- 41% of the people in the poll described themselves as not being sports fans! Why those 41% percent were asked a single question after that admission is beyond me. Aside from the ridiculousness of Jeter winning this honor (by the way, he won the women's vote with 17%), how about Carmelo Anthony, who has been on the Knicks for less than a month, being No. 7? Outrageous, even if you add in 'Melo's Syracuse heroics. These are the most short-sighted and embarrassing poll results I've seen since Britons picked Princess Diana over Winston Churchill for that country's Person of the Century. It gets worse on this New York poll. According to Siena's press release, "Among Yankee fans, Derek Jeter holds a commanding lead, 21 percent to Babe Ruth's 13 percent for New York's greatest athlete. Tied for third are DiMaggio and Mantle with Namath continuing in fifth." I don't want to be the fan police here. But if you call yourself a Yankee fan, and you really think Jeter is a better player than Babe Flipping Ruth, I don't even know what to say to that. Sheesh. Our fan base prides themselves as being loyal and knowledgeable, but Jeter winning that poll is just plain sad. Squawker Jon, you are way out of date. Josh Beckett is just a blip on the radar as being one of my most-hated Red Sox these days, especially since the Yankees seem to pummel him every time they face him now. I am not sure if he would even make my Top 5 least favorite Red Sox this year, not with annoying teammates like Jonathan Papelbon, Kevin Youkilis, and Dustin Pedroia. Speaking of which, Sully Baseball and I had a discussion on his radio show the other night about how this is the worst era ever for baseball nicknames, with so-called nicknames really being shortening of names, like "Tek" and "Youk." How boring. Not that the Yankees are much better in the nicknames department these days, though. We also discussed about how every scandal has a "gate" attached to it. How annoying! Anyhow, Squawker Jon, you are correct about my hatred of "Star Trek." The only things I liked about the show was the cat episode, and that you refer to "The Wrath of Swan" whenever I have a hissy fit! I did read our friend Sully's entire article comparing Beckett and "Star Trek", though! Speaking of pop culture, I think I finally figured out why "Sheen's Korner" is spelled with a K. It's Charlie's tribute to "Kiner's Korner"! Ralph oughta sue. After I read Sully's piece, I realized that Oliver Perez mirrors "V." Both were clearly dead in the water by the end of last season, yet both somehow continue to avoid richly deserved pink slips. He called it his "127 Hours" theory. This executive said, "Before you kill yourself, why not cut off your arm and see if that helps you survive? No one wants to do that. But you want to die less. I have to assume the Wilpons do not want to (bleep) off their fans more, but why not take whatever opportunities you have to hold the team? I bet the banks would like it." Let's review. You're suggesting a strategy that you admit up front will infuriate an already disenchanted fan base. And you're using an analogy that comes across as a plan to do permanent damage to the franchise. If you sell off all your good players, it's supposed to be because you eventually expect to end up with other good players. But if you cut off your arm, it doesn't eventually grow back. You can still do plenty of things with one arm, even play baseball, as Pete Gray did for the St. Louis Browns in 1945. Jim Abbott, who was born without a right hand, pitched in the major leagues for a decade. Abbott even tossed a no-hitter for theYankees in 1993. (Yes, Squawker Lisa, I realize that means that the Yankees have more no-hitters from pitchers with one hand than the Mets do from pitchers who have both hands.) But Abbott and Gray are heroic figures who overcame adversity that was no fault of their own. There's nothing heroic about the Mets' financial mess. Then again, once the Mets adopt the "127 Hours" theory, they could go on to the "300" theory: A Spartan roster battles bravely against overwhelming odds - before being completely wiped out. The kind of analogy I'd like to see the Mets use would be something like a "Spider-Man" theory, in which an unfortunate situation (getting bitten by a radioactive spider) results in acquiring superpowers. But even if Mets ownership adopted a "Spider-Man" strategy, they would stumble over the part about how "with great power comes great responsibility." Besides, the Mets have spent the last couple of years adopting a "Spider-Man Musical" strategy, in which you spend tens of millions of dollars for an injury-riddled disaster. And selling off all your good players and hoping people will still come to the ballpark would be as if "Spider-Man: Turn Off the Dark" tried to lower its operating costs by dropping the special effects and the U2 music. I've been squawking a lot this week on Facebook about the whole Charlie Sheen drama. But now I am moving my gripes about Sheen to Subway Squawkers, because he has gone too far -- wearing a New York Yankees shirt while spewing bile in one of his crazy videos. Enough! When is somebody going to stop the madness already? We know that MLB Advanced Media will crack down on fans like those who ran the "Cubscast" podcast for using a team's name, or try to shut down pretty much anything they don't like that a fan writes online. Maybe MLB should be concerned that Sheen, who has been on TV about a hundred times over the past 10 days, is wearing baseball gear in most of his bizarre rants. I've seen him wearing Cleveland Indians and San Francisco Giants hats, which is one thing, but when he sullies the interlocking NY by wearing it, I have had it! C'mon, Bud Selig, ban him from wearing MLB gear. Now! 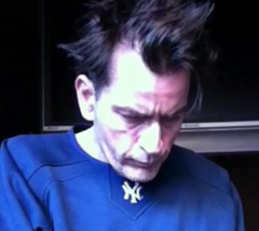 I'm not exactly a fan of Sheen these days, and the drug abuse is the least of it. Heck, I watch "Intervention" every week, and there are a lot of sympathetic addicts on the show that I root for to get clean. But whether he is sober or not, Sheen is just too hateful and arrogant to be sympathetic. The thing is, his career was based on being a likeable partier. But he's shown himself to be extremely unlikeable these days. And I think it's disgusting the way the media whitewashes the fact that he has a long track record of beating up women. Sorry, Piers Morgan, it doesn't make Sheen a "rock star" that he reportedly threatened to cut off his ex-wife's head, put it in a box, and mail it to her mother. Not to mention that Sheen had custody of his kids during some of his meltdowns this week, until the state finally stepped in. And what was NBC and ABC thinking in showing those poor young kids on TV? And how about all of Sheen's "Apocalypse Now" references, comparing himself to Colonel Kurtz? You may remember that Kurtz, played by Marlon Brando, was killed by Martin Sheen, Charlie's father, in the film. What is Sheen saying here? That he wants his father to put him out of his misery? It's all too much. I haven't heard so many weird ramblings since I read Dutch Schultz's deathbed speech! At any rate, if MLB can be so diligent at protecting its image, and its logos, can't they stop Sheen from wearing baseball attire? Who wants to see baseball represented by such a vile human being? You know who else needs to gripe? The tigers of the world. It's not enough that they're being slaughtered, but Sheen sez he has tiger blood! What did they do to deserve such an insult? If you want to hear me squawk about the Yankees, Mets, and maybe even a little Charlie Sheen talk thrown in, check me out on the Seamheads podcast tonight at 10 p.m. eastern. I will be talking baseball with my good friend Sully Baseball, on his "Sully Baseball Show." Check it out on your computer by clicking this link. Fire Sale for the Mets? The Post's Joel Sherman suggests that the Wilpons may have to resort to "an all-out fire sale" if they want to keep the Mets. But such an idea is not only repugnant, but wouldn't even work. Two executives heavily involved in major league finances said it would be wise for the Mets to reduce payroll dramatically; even to, say, the $70 million range as soon as the 2012 season. This hardly would solve all of the Wilpons’ financial problems because they carry hundreds of millions of dollars in debt before even learning their ultimate fate in the Madoff debacle. But the two executives felt even a stripped-down version of the Mets still would draw no worse than two million spectators to Citi Field. In 2008, the Mets' home attendance at Shea Stadium was 4,042,047. In 2009, that figure dropped by 900,000 to 3,154,270 at the new Citi Field, which was a lot smaller. With more expensive ticket prices, the Mets probably came out ahead. But in 2010, attendance fell to 2,559,738. The Mets were in the second year of a new ballpark that just about everyone praises. The Mets had a competitive team for the first half of the year that was eight games over .500 at the All-Star break. And still their attendance dropped by 600,000. With a brand-new ballpark and a high payroll, the Mets have lost 1.5 million paying customers in two years. Is that a business plan - to try to hold the losses to another half a million? These days, it's not even a big deal to draw two million. 21 of the 30 clubs did so last year. Even the Pirates, who haven't had a winning season since 1992, drew 1.6 million. But you know how the Pirates managed to convince that many people to watch the team go for its record 18th straight losing season? Let's say you want to go to a Pirate game and you'd like to sit behind the dugout. You know how much that will cost you? Granted, that's if you buy your dugout seats in advance. If you wait to buy them until the day of the game, they will set you back $40. The Mets already cut ticket prices going into this season, and reports are it isn't doing any good. That fancy new ballpark was built under the assumption that not only would it be filled, but filled with people paying premium prices. So in the long run, propping up attendance by slashing ticket prices isn't likely to impress bankers all that much. Not to mention what destroying your product will do to your other streams of revenue. People buy jerseys and shirts of your stars, not the cheaper replacements. And good luck maintaining viewership on SNY. At least the announcers will be able to get to know the remaining viewers personally when they appear on "Ask the Booth." Once the games become meaningless, they can start "Ask the Booth" in the third inning so everyone can get a turn. The Mets also have something the Pirates don't - the Yankees on TV every night. And playing 81 home games a few miles away, plus more in the postseason. Most Met fans won't desert to the enemy. But their kids might have an odd preference for the packed house in the middle of a pennant race. Even Shake Shack is less of a lure now that they have several new locations. Sherman goes on to quote an executive who says that "smart fans" will realize that the Mets need to rebuild. But most Met fans have already been patient throughout this offseason when the team spent almost no money. "Smart fans" will realize that, even if they went along with a rebuilding plan, it only works if the team drafts over slot and invests in international free agents. And at some point, you'll have to pay to keep those players, or you'll end up like Tampa, where the fans realize that every good player is destined to leave. The odds of fans supporting the destruction of the team just to preserve the current ownership is about the same as Hank Steinbrenner having a smile on his face if he has to sign over a revenue-sharing check to Fred Wilpon. Greetings. I'm going to be squawking baseball with Mike Lindsley of Syracuse's The Score 1260 at 10 a.m. today. If you are in the Syracuse area, you can listen to me on 1260 AM on the radio. If not, check out the station's web site and listen to me there. Thanks! I wrote something for The Faster Times the other day criticizing Hank Aaron for his recent comments about Alex Rodriguez criticizing A-Rod's supposed lack of focus. Aaron complained because A-Rod said he had a "great winter" (actually, he said he had a "good winter") and said that Rodriguez should always have a good winter. Never mind that back in Aaron's day, ballplayers -- Hammering Hank included -- worked at jobs during the offseason, instead of on their physiques, and used spring training to get into shape. Aaron is entitled to his own opinion. He's not entitled to his own facts! Anyhow, check out my article, if you haven't done so already. Thanks! Also, in other news, I won a $50 gift certificate from FansEdge.com, thanks to a contest run by Lady Loves Pinstripes. How cool is that? Thanks, Kate, for running the contest! SNY borrows a page from HBO with this behind-the-scenes look at the Mets' preseason. Are you the Chris who's had serious shoulder problems or the Chris who's had Tommy John surgery twice? Misch, Emaus, if only you had big contracts like Perez and Castillo. A special visit to Francisco Rodriguez' anger management class. Season-ticket holders, where did you go? Now let's go get a goddamn loan! Thanks to Squawker Lisa for coming up with the idea.